Deedy, born November 11, 1923 to Florence and Lee Frech, passed away July 6, 2018 at 94. 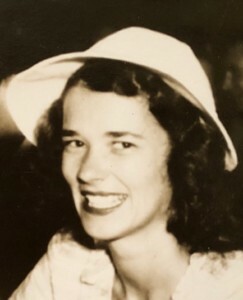 During her time in nursing school at Washington University, she met and married Edwin G. Krebs in March, 1945. They moved to Seattle in 1948 when Ed joined the faculty of the University of Washington School of Medicine. Deedy was an amazing woman with interests and talents ahead of her time. She was a gifted athlete who competed nationally and internationally in tennis tournaments into her 80’s. But when macular degeneration made it too difficult to see the ball, she quit tennis and hired a personal trainer to maintain strength and fitness. Deedy’s talents included carpentry, woodworking, upholstery, car mechanics, stained glass, gardening, and gourmet cooking. She was extremely well-read, was a life-long die-hard Democrat, and an avid sports fan. She loved art, and collected from a number of Northwest artists. As a person, Deedy was fun, gracious, honest and generous. She had a strong sense of social responsibility, rooted for the underdog, valued the privilege of being involved in the political process, promoted leadership of women, and gave generously to environmental causes. Despite her many talents and gifts, Deedy struggled with depression. For many years, she cared for a son diagnosed at 19 with schizophrenia. Deedy and Ed agreed that upon their death, a large financial gift would be made to promote scientific research in mental health. 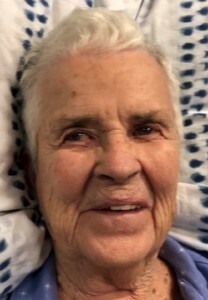 Preceded in death by her siblings, husband, Ed, and son, Bob, Deedy is survived by daughters Sally (Dan) Herman and Martha (Phil) Abrego along with five grandchildren including Emily (Phil) Kelly, Austin (Tina) Herman, Kipp Abrego, Poppy (Eric) Patterson, and Taylor Abrego as well as 9 great-grandchildren. The family wishes to sincerely thank the loving staff members of Aegis Callahan in Shoreline, Providence Hospice of Seattle, and Northwest Hospital. If interested, donations may be made online to The Brain and Behavior Research Foundation. Guestbook is online at www.funerals.coop. Note: Photos were taken when Deedy got engaged and one week before she died. My condolences for your loss. I've always thought of your Mother as an exceptional person. We didn’t know Deedy but we know her loving daughter Martha, and Martha’s husband Phil. Deedy must have been exceptional in all the ways described because she passed many of those fine qualities on to Martha. We send our deep condolences and warm regards. My condolences for the loss of your Mother. She was truly a remarkable woman and such fun. I have many warm memories of times our families spent together. The death of your Mom is the end of an era of our parents and their mutual friends - sad as they were an extraordinary group of people and I feel richer for having known them. My thoughts are with you and your families. Hello, I remember my last time seeing your Mom; Sue Anderson and I met her for a pizza lunch in the University Village. It was terrific to see what great friends they still were, and she was so sweet to me too. Must have been about 7-8 years ago or so, since my Mom was living at Merrill Gardens at the time. I remember climbing a tall topped tree at your place as a little kid. Left quite an impression.